There is a real lack of knowledge about the basic teachings of Guruji amongst the youth of Sikh background. Moreover we found that not a lot of such information was readily available in new mediums like YouTube, ie stream to mobile phones etc (especially in comparison to other faiths). Therefore, www.everythings13.org, a Sikh educational charity, decided to be proactive about this. On the 28th March this year, a new YouTube channel was launched for the global Sikh community. Basics of Sikhi has released more than 40 videos focusing on spreading the wisdom of the Sikh Gurus. The main philosophy of the channel is to simply teach the basics wisdom of Guru in a way that avoids the 5% of things that people like to argue about and focuses on the 95% that unite us. We are using Facebook and social media to encourage people to spread the word and allow people to feel part of the community. - Why did Guru Nanak come? This seeks to answer common questions put to Sikhs, whether in a spirit of enquiry or with malicious intentions. - Was Guru Nanak muslim? We have just finished a pilot version of our new project of a 12 week introduction to Sikhi course called the "Why Guru Course" https://www.facebook.com/pages/WhyGuru-Course. We have very positive feedback and are planning to make this course available incrementally in London and the online as well. We are now captioning all the videos in English and this allows for automatic translation of captions into other languages. This is around 80% effective when translating to Russian so is definitely a great step. 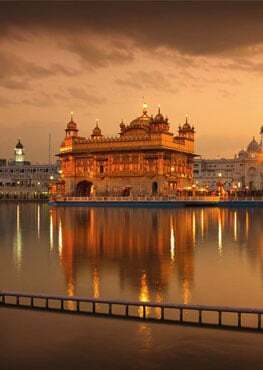 We are looking to expand the channel into a learning community, similar to the "Khan Academy" but focused on Sikhi skills like history, sikh philosophy, gurmukhi learning, understanding Gurbani and raag kirtan, taal theory. For this reason we have registered as a UK charity and are fully certified by the Charities commission. We have already hired some people to write out course material, help with editing etc but will need to expand in terms of both personnel and expenditure. Our plan is to have a five person team working on designing curriculum, delivering, recording and editing (for YouTube learning) and also teaching directly in Gurudwaras and universities. We estimate this to be at a cost of £200,000 per annum including travel and equipment budgets for each staff member.